We have been super fortunate to have Lynne come and work with our Grade 7 class this year, and last. 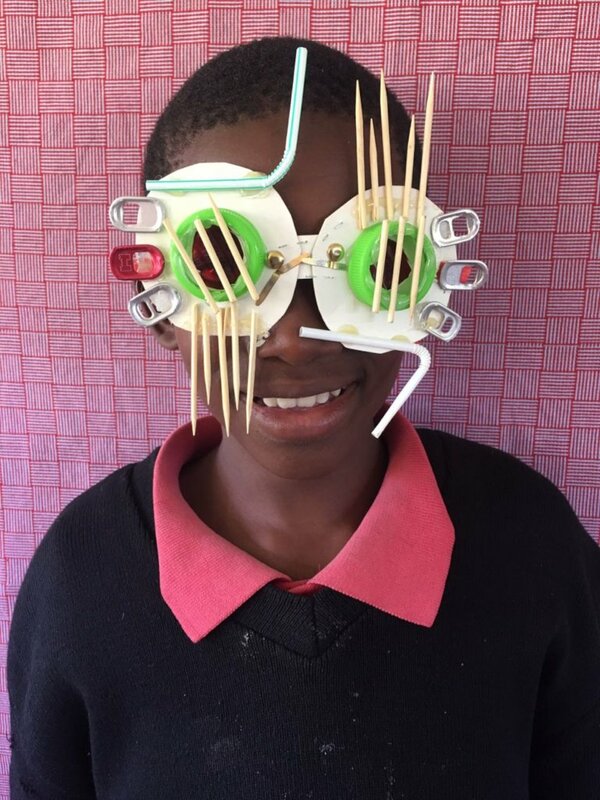 She has a particular love for recycling and her latest class saw some super recycled sunglass creations. 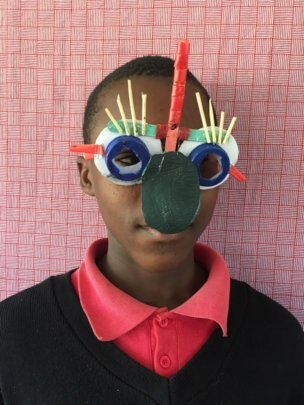 Very often our children are surrounded by piles of rubbish in their communities, and being able to create an item of fun and sunshine from rubbish is a gift. Our grade 7 class is set to leave us next year to very different schools - some very smart, with bursaries being awarded, and some not so smart - but all will be of quality, so that each and every Grade 7 can, with some grit and determination, reach their full potential. It's incredible how different each grade is, with their own personalities. As we head towards the end of the school year here, we are grateful to have got to know these special kids. 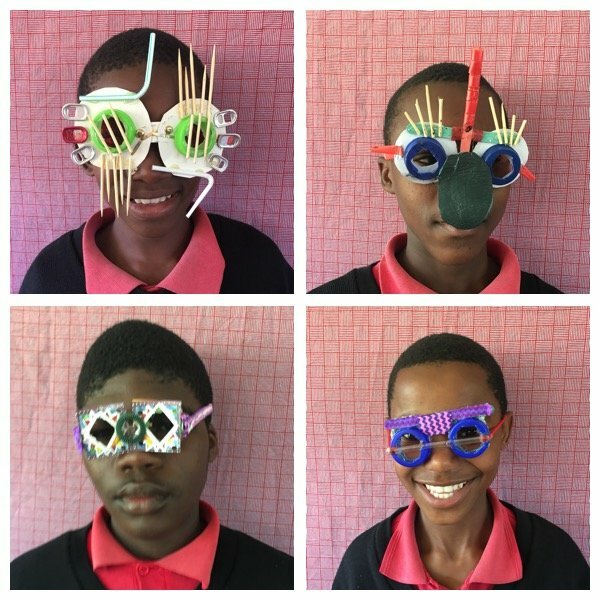 Enjoy the awesome pics of our kids and their fun glasses. Thank you for supporting the visual arts at African Angels. Every year our girls sit the entrance examination for acceptance into the Oprah Winfrey Leadership Academy for Girls (OWLAG) in Johannesburg, South Africa. The girls must be in Grade 7 (13 years old) and be from a disadvantaged background. Being accepted into OWLAG has been a goal of ours since starting the school in 2012. 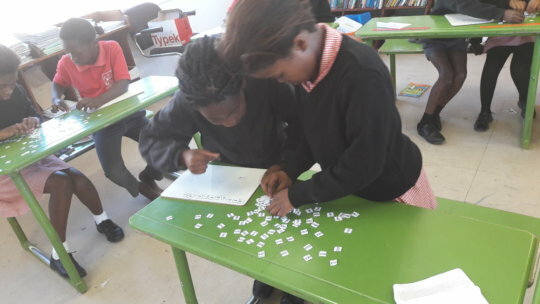 The subsequent recruitment is rigorous and thorough, as the school takes only the brightest girls from across South Africa, from socioeconomically disadvantaged backgrounds. We are delighted to announce that Linako, a grade 7 learner at African Angels, has been accepted into OWLAG for 2019. We are over the moon for Linako and the opportunities a fantastic high school education will open up for her. Linako has attended African Angels since 2012. 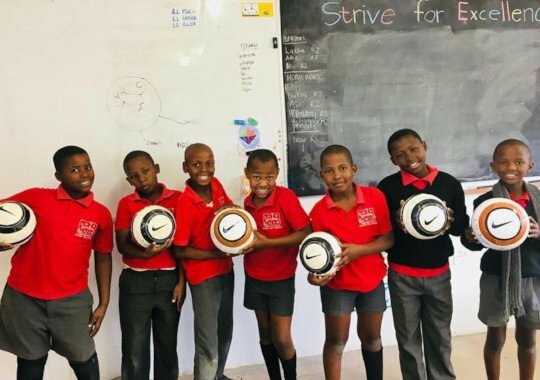 Thank you for supporting African Angels, that has seen her receive a quality education, that has enabled her to succeed in her quest to attend the Oprah School! Recreating their 1000s charts in a class comp. As we anxiously await the arrival of Viwe, our newly appointed Grade 3 teacher in Term 4, who is relocating from Johannesburg with her daughter Yanga, I thought it would be foolish to try and find a substitute teacher for just one term, and rather than have a teacher change for a term, and then a teacher change for the last term, I could teach Grade 3's. 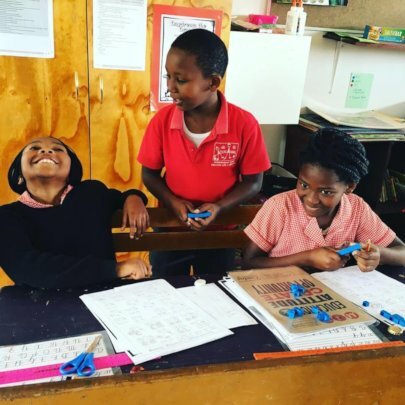 In South Africa, Grade 3's are 9-10 year olds. We have a class of 18 of them. Who I love dearly, but I had no idea they had super powers. For the first 5 weeks I had a wonderful student teacher, Val Blattler from Switzerland, who had convinced her university that she could do her practical teaching in South Africa at African Angels. Val was wonderful, and opened the class each morning for the first 30 minutes of the day. I spent the holidays preparing lessons, and sorting our resources, compiling workbooks and getting school maintenance done. I was prepared - or so I thought! Our grade 3 class has 18 children in it. Like all classes they vary in ability, personality and home situations. Every teacher wants to do their best for their children, but nobody tells you that children have an inate ability to absorb every bit of energy you have so that you are completely and utterly exhausted at the end of every day. I started eating the reward treats in the afternoons to get some energy. I've run two restaurants and I've never been so tired. Hats off to teachers who teach day in and day out - you all deserve every single holiday you get. I loved my time in Grade 3. I'm not sure the kids loved having me as their teacher as much. I'm a hard taskmaster - very firm but very fair. Sibanye told me he 'wasn't going to miss me at all'. There were no miraculous improvements overnight - obviously my magic wand wasn't working. :) But there is something very special when you show children something for the first time - we studied volcanoes and the kids saw videos of volcanoes erupting; Pam another volunteer made one with them and they grasped the concept that lava is melted rock once they could see it creeping down the side of a hill. Olona wanted to know what happened to the sharks if it fell on top of them into the ocean. Those light bulb moments and enquiring minds are very special. 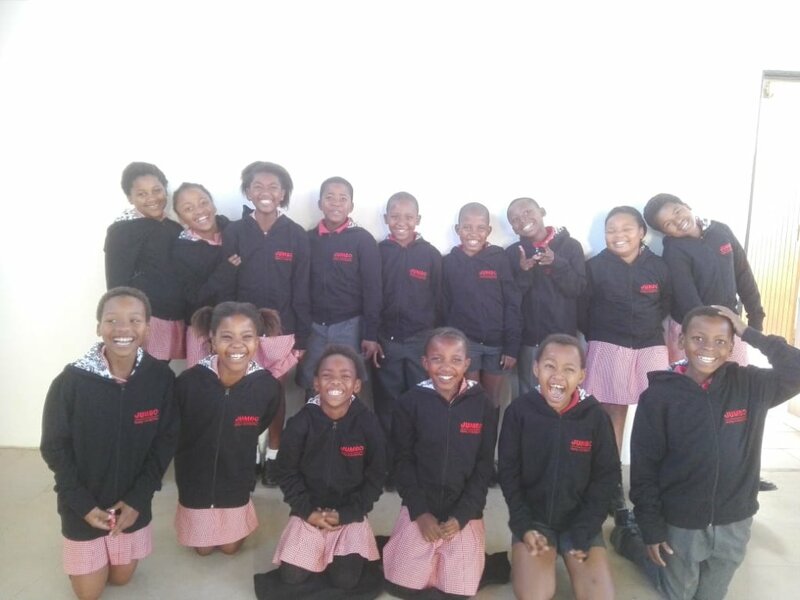 The kids at African Angels live in pretty compromised situations- most have no running water or indoor plumbing in their homes; many have no electricity; there is no garbage collection in their township. All are financially disadvantaged; many are partial or full orphans, and all are exposed to dysfunctional social situations like alcohol and drug abuse. I know all of this, but I still had reality check moments. I was marking English one night after school and I had asked the kids to pick five of their spelling words and make a sentence with them. One of the spelling words was ground. The sentence the learner made was 'I poo on the ground.' Reality check 101 right there. We have flushing, clean toilets at school, with toilet paper. Like many in her township, this little girl has no runing water at home, no indoor toilet, there are no public toilets, so she, and many others, are relegated to using the ground as their toilet. Attending African Angels means that all the kids in my class, and all those at school, will have the primary school education to access better employment and educational opportunities in the future. 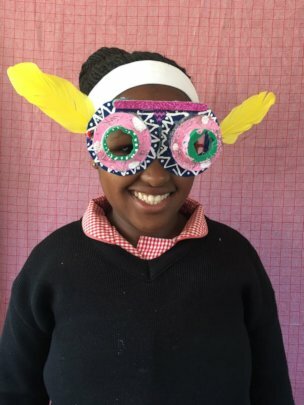 Not all will fly as high as Indie, our first high school bursary recipient to a fantastic girls' high school, but all will emerge able to chart their futures and access opportunity, because they have a solid educational grounding. Largely thanks to you, our donors and supporters. Thank you!